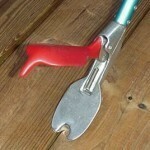 PRODUCT DESCRIPTION: Equipment which acts like a large pair of tweezers designed to pick up snakes. By squeezing the handle the front extensions collapse and you are able to do so around a snake's body to capture it. 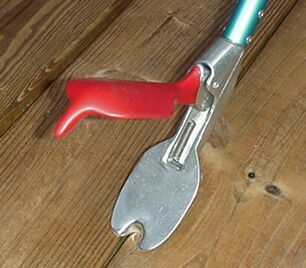 Unlike traditional tongs, this latest design incorporates several features which help reduce injury to snakes when handling. They have a wide large upper jaw which is triple coated in rubber for maximum "grip" with little effort. They also have a polished lower jaw which is slippery and difficult for the snake to get "traction" when being held – critical for injury reduction. We sell these in different sizes listed below.